Q. 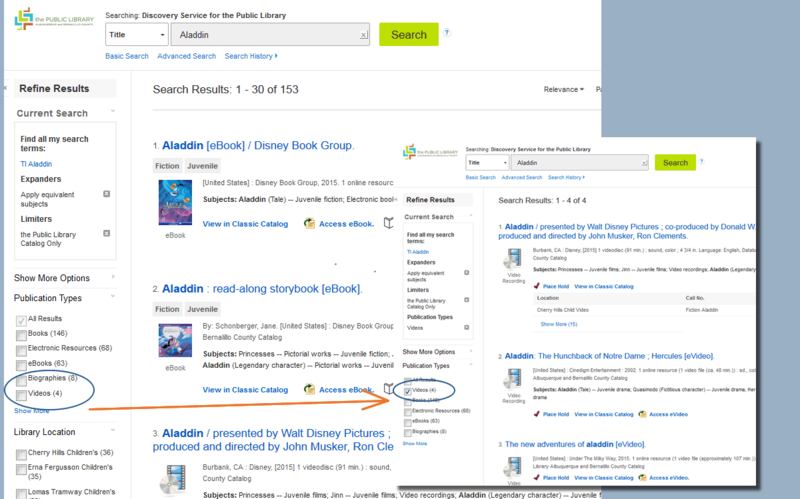 How do I search the library's new Discovery search system for VIDEOS? Not text? Depending on whether you are looking for a DVD or Evideo (streaming) you can use different approaches - but both are easy to do. If you are simply looking for a video in any format after running your search look in the left column for "Publication Types" and select "Videos". If you don't see "Videos" go ahead and click on "Show More" - if we have any videos with that title the option will then appear and can be selected. Your results will then filter for just Videos as shown below. 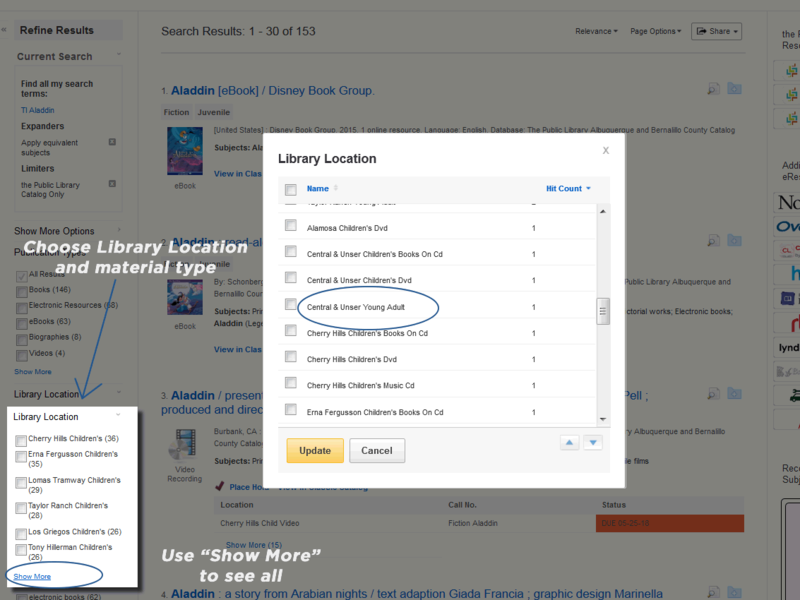 If you are looking for a DVD at a certain branch of the Public Library, use our Library Location filter. Items such as Large Print, Books on CD, Children’s, Young Adult, Music on Cd, are located in this way.